The Judicial Service Commission (JSC) has transferred a judge of the Criminal Court, Muhthaz Fahumy, to the Drug Court. JSC passed the resolution to transfer the long-acting judge of the Criminal Court, Muhthaz, to the Drug Court on July 30. In the letter informing the Criminal Court of JSC's decision, the commission said the transfer was proposed by the Supreme Court. 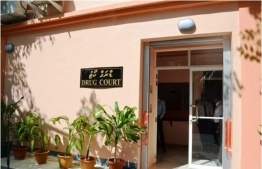 According to information unearthed by local media ‘Mihaaru’, the Drug Court has yet to allocate a post for Judge Muhthaz. Article 159 of the Constitution accords JSC the sole authority to transfer a judge from one court to another, other than the Supreme Court. In contradiction to the article, the Supreme Court's landmark ruling on February 1 declared that no judge be transferred without the approval of the top court.